Grave Reference: Sec. A. Grave 45. 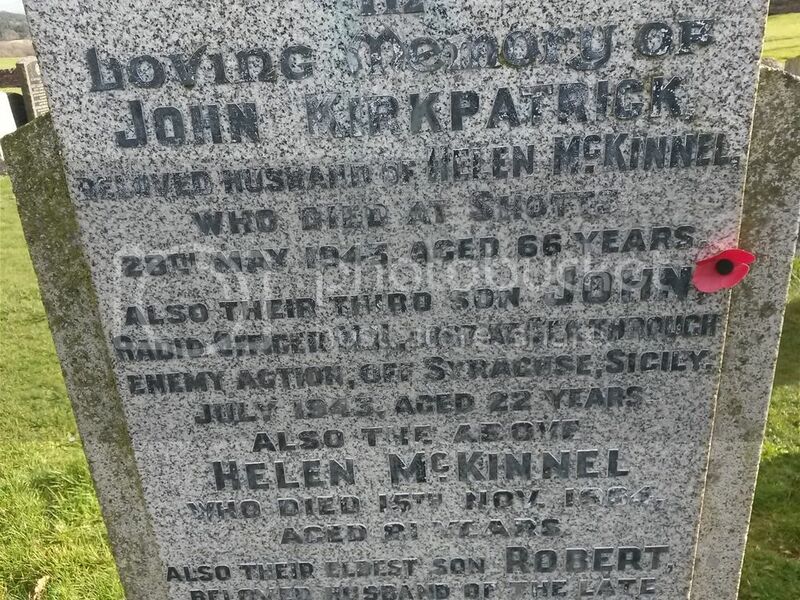 Additional Information: Daughter of James Douglas McKie, and of Hannah McKie, of Thornhill. Grave Reference: Sec. F. Grave 90. 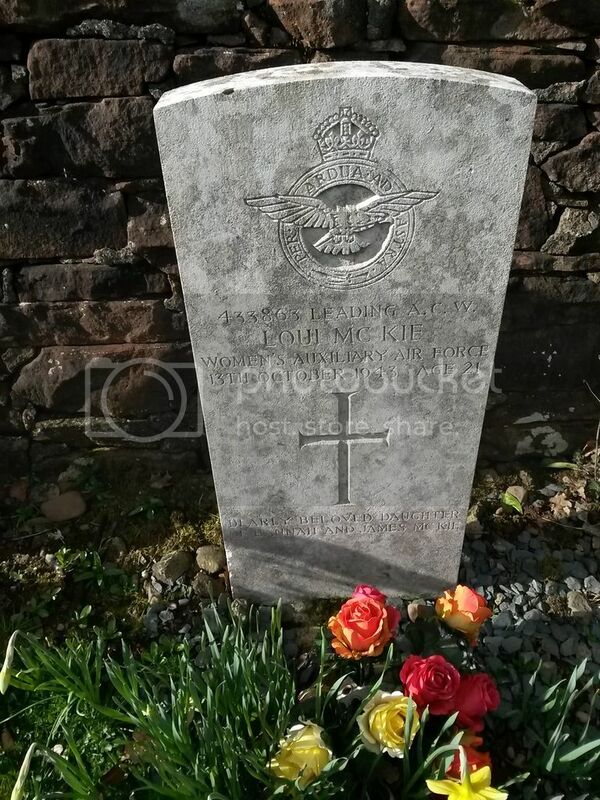 Grave Reference: I. E. 8. 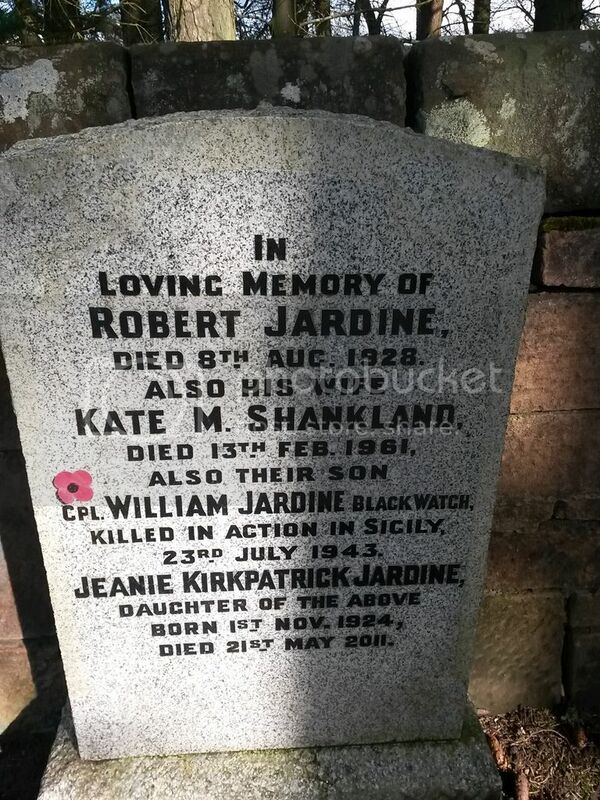 Additional Information: Son of Robert Jardine, and of Kate Murray Jardine, of Thornhill, Dumfriesshire. 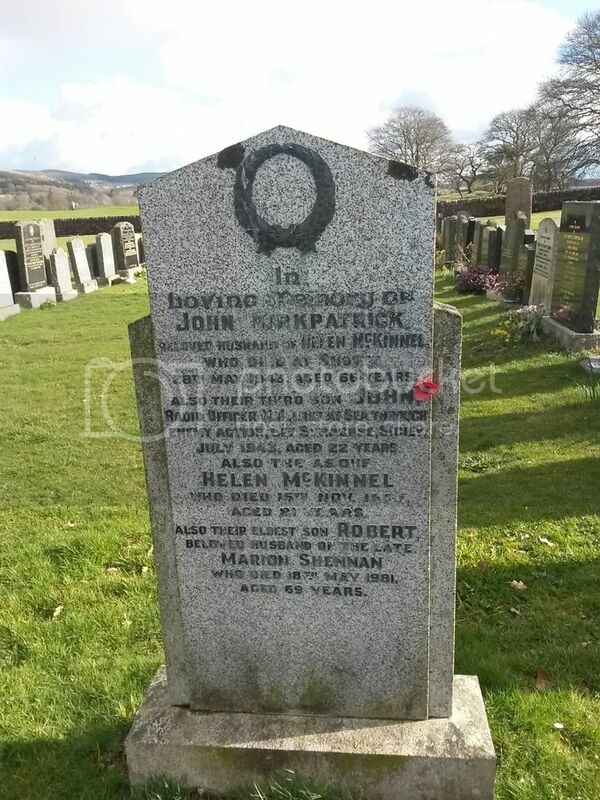 Additional Information: Son of John and Helen Kirkpatrick, of Closeburn, Dumfriesshire. No information could be found. 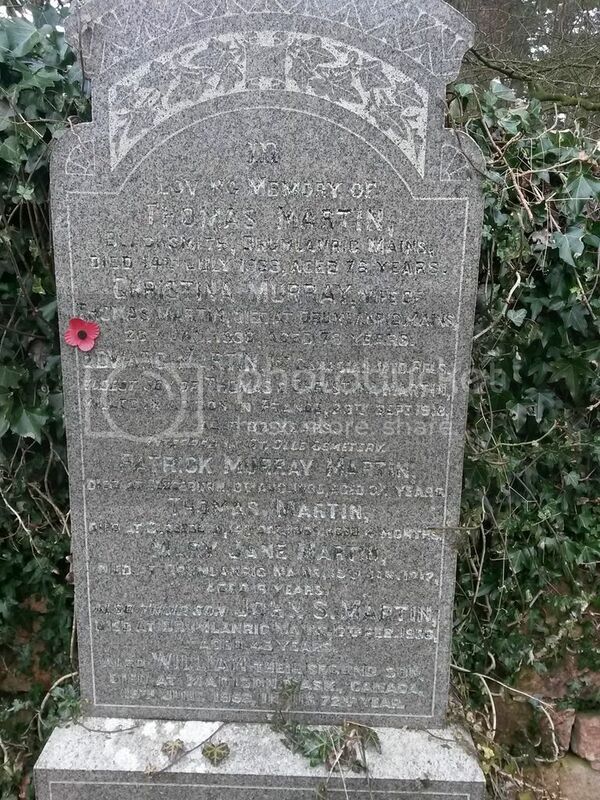 The gravestone is difficult to read. 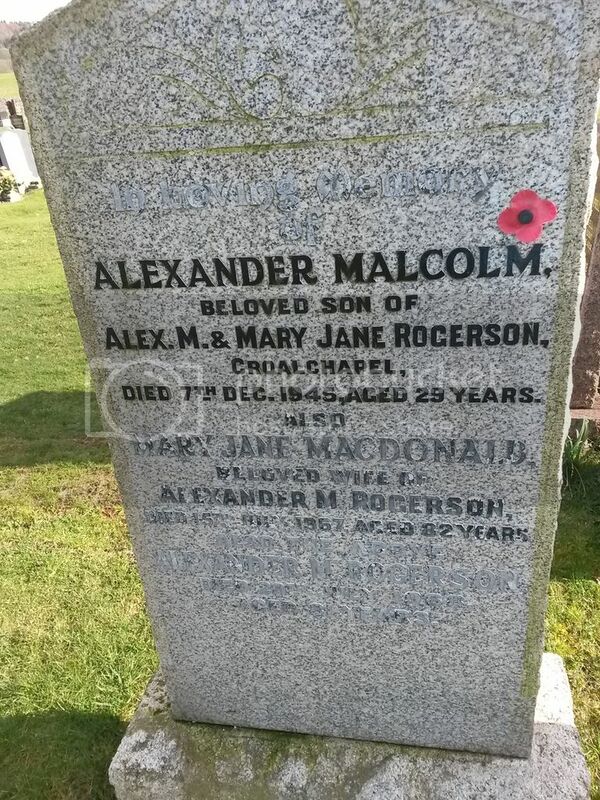 Additional Information:Son of Thomas and Christina Martin, of Drumlanrig Mains, Thornhill, Dumfriesshire, Scotland. Native of Closeburn, Dumfriesshire. ps are you moving into God's own counties??? Thank you once again Ken. You always solve my problems! No.. we are not moving. Just love that part of the country especially as my Grandmother came from the area. Always glad to help and wanted to check if we should be co-opting you onto the D&G "sub-committee"
And I do like the little poppies stuck on the stones. 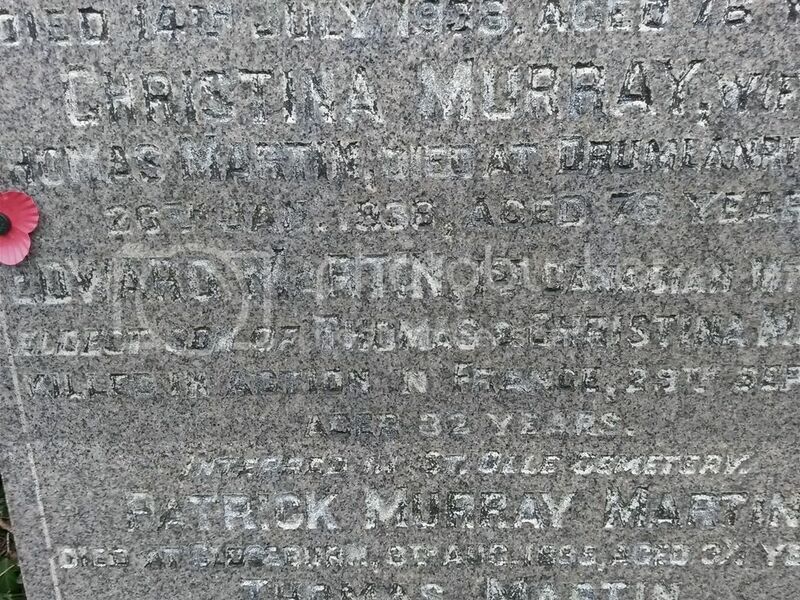 Edward is named on the Closeburn Memorial.